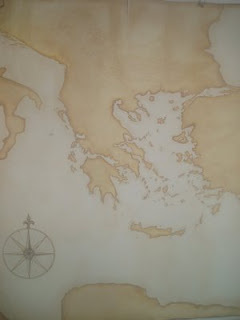 Caroline..Artist Afloat: My latest mural.Map of the Mediterranean. 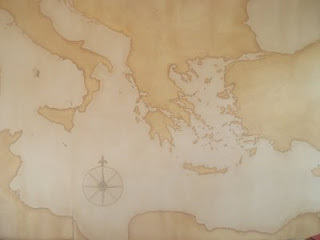 My latest mural.Map of the Mediterranean. 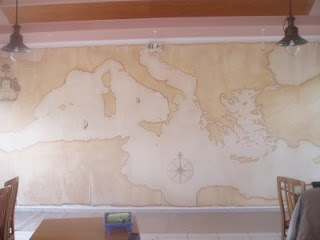 I spent two days just scaling this up to the 6.50/3.50 meter wall, so that everything would be in the right place with correct distances etc. Not something I would like to do again!! 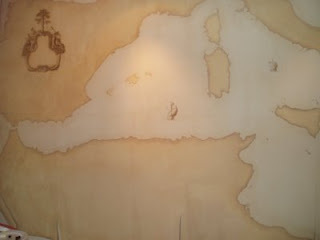 The idea is that it should look like an old papyrus map. 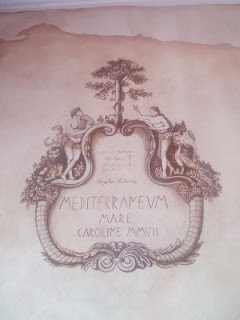 New paintings I am working on.